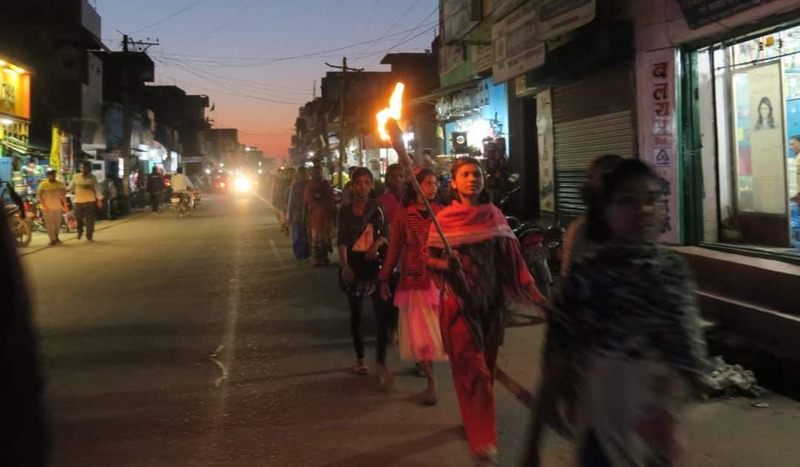 Women of all ages, animators, Sister Anna SJC, and SCNs Joel Urumpil and Malini Manjoly took part in a torchlight procession to create awareness on the importance of why women should organize themselves to save the forest, land, natural resources, rivers, and the villages. It was organised by the Women’s Liberation Movement under the direction of Chetna Bharti, Chatra. They marched through the market in Chatra for five kilometers. At the main roundabout, a small group of women along with Sister Joel held a public meeting holding up the traffic at the peak hour while the procession looked on. At intervals, they sang awareness songs while the women and girls shouted slogans.